LinkedIn is great for lead generation, but the company has now introduced Lead Gen Forms to help businesses collect even more quality leads from ads on the platform. LinkedIn has just introduced the most logical ad product ever. Comparable to Facebook Lead Generation ads, Lead Gen Forms allow businesses to collect leads through “seamless pre-filled forms” within LinkedIn ads. They allow you to generate high-quality leads at scale, while proving the ROI of your lead generation campaigns, giving you access to the leads at any point. They are very handy, as users can send professional information with just a few clicks, you can track your campaigns at any point, and download leads whenever you need them! You can even connect your favourite CRM solution to collect leads there. 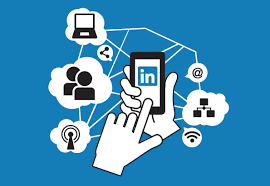 LinkedIn has just made it easy to collect leads from the nearly 500 million professionals, influencers, and business decision-makers who use the platform.